1) Theft of bits are like the Tic Tacs that get stolen from the 7-11. It’s the cost of doing business on the Internet. 3) The “pirates” are part of my community. Not everyone in the community has equal means. Pirates are not cretins riddled with immoral behavior in every part of their life. 4) Pirates have friends that have money. It’s still word-of-mouth, the most effective friend-to-friend marketing in the world. If pirates like what you do, they’ll tell their friends. 5) It is strange to see a chart over time that shows an increase in revenues and an increase in piracy. Now, piracy is not the reason that revenues are increasing, but they are not hurting revenues. I like the reasons he mentions, but it boils down to a few key things. Online piracy is the cost of doing business on the internet, and really it’s the cost of doing business anywhere. Right now, producing non-tangible content like music or photos, online piracy is a grim reality. To claim that pirates are costing your business millions of dollars of lost revenue illustrates a terrible lack of imagination and a unclear grasp of the new economy. Also, the fact that some pirates don’t have the means to buy the material. In some cases that refers not just to the size of their pockets but just because of their location. For instance, the Amazon Kindle and it’s e-books aren’t available in most countries in Asia yet, and that’s the same for the ITunes music store B&N nook etc etc. Malaysians like me can’t procure the material even if we had the means, which leaves us with 2 options, either wait for the ‘legal’ version to be on TV, usually a couple of months even years later, or download the pirated version–guess which options most are choosing. I would gladly buy a song for $1, but it’s just not available. Finally Trey points out the hypocrisy in bodies like the RIAA and the TV studios. In some cases online piracy actually helps generate the buzz for a particular movie or song, the buzz in turn generates the revenue. To claim that it actually hurts revenue is both inaccurate and just plain wrong, in fact nothing could be further from the truth. I think the reality is that online piracy hinges on online communities, and like nearly everything else online it’s hard to control. You can’t control piracy, because it’s on the internet, and nothing on the internet can be controlled. So f0r media companies, not having control over publicity is pretty scary, particularly when nothing on the internet has an undo button, and you can’t stop things once it gets viral. It’s a pretty scary world on social media these days, especially for corporations who are used to having full control of these things. Consider how GoDaddy was handling their recent debacle, GoDaddy was an initial supporter of SOPA only to find out that many of their customers weren’t. These customers were taking their business elsewhere, to the tune of 72,354 domains in a week. That’s not much to GoDaddy, but it just goes to show how a small political decision can effect your business. SOPA represents a last ditch attempt by corporations to try and wrest control of the internet, it’s like modern day censorship but instead of Governments or the FCC controlling the scissors it’s going to be corporations and egomaniacs like Uri Geller who tried to block youtube videos of him being owned on the Tonight Show using the DMCA, imagine if Geller was allowed to use SOPA which could (in theory) allow him to take down YouTube and not just the offending video. You can read more on Creative Commons Photographers from a wired article here. 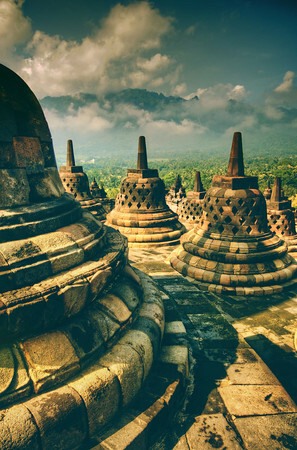 *Photo courtesy of Trey Ratcliff from his awesome blog stuckincustoms.